Intimacy is a word often used to describe a special connection between two people, something deep, something sacred, something sensual or even sacred. Some teachers break down the word to express “into me you see.” However, intimacy doesn’t require another person. In fact, deep knowing and deep seeing into your own being is the first step to sustainable happiness and profound personal growth. You’ve probably heard that you cannot truly love another until you fully love yourself. You may have heard that the only thing that matters is self-love. In many ways both of these statements are true, but I find the majority of people vastly oversimplify and gloss over these concepts. If you’ve ever fallen in love, you know what an all-consuming, overwhelming, blissful, and sometimes terrifying process it can be. When we come into deep communion with another human being they reflect every part of our psyche. Every pain, every trauma, every shadowy aspect that we have worked overtime to cover up, is now vulnerable, raw, exposed, and reflected back to us. The reason why falling in love is so intoxicating: everything you love about yourself — and even things you didn’t realize you loved about yourself — are simultaneously and lovingly projected through your partner’s gaze and touch as they reflect YOU back to you. This is why relationship, especially conscious and communicative relationship, is such a potent tool for personal growth. 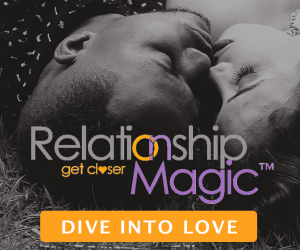 It is possible, common, and helpful to love another before having fully mastered self-love. However, the depth of intimacy, truth, and pleasure that is possible in relationship after you have made deep contact with your inner self is far more profound. Inner intimacy is the practice of knowing and loving every aspect of yourself. It’s the journey into uncovering the things that have been buried in the depths of your psyche, unraveling the insidious layers of familial and societal conditioning, and embracing with total acceptance the entirety of your inner landscape. It is not an easy process. It is not for the faint of heart. But its effects are long lasting and far reaching. Are you ready to step into your full being? Is it time to decompartmentalize your life and relieve yourself of the heavy emotional armor you’ve been carrying? Is it time to open to your body’s wisdom and tap into your own healing capacity? That answer isn’t in religion. It isn’t in a prescribed system or dogma. It isn’t in me. The answers are inside you, as they’ve always been. I’m just here to help you remember and hand you a few tools to help. Are you ready to know and love every aspect of yourself? I’d like to go back to the main Coaching page.